After years of documenting what we feel is Facebook's negligence, double standards, hypocrisy, abuse of power, selective and subjective TOS "enforcement", proud stand allowing Holocuast denial, general arrogance and elitism, creation of fake countries, discrimination against Jews, and sucking up to Islamic jihad supporters, the JIDF is exhausted. Why should we even bother doing all this to expose the issues, when all the mainstream Jewish establishment organizations are still asleep at the wheel, as they receive millions in donations only to keep their firm grip on the status quo and not help with these problems whatsoever? There's an issue which we should have covered when we first learned of it, but instead, we davened, in vain, in hopes it would just go away. 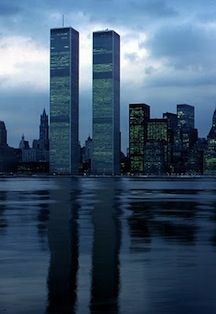 Unfortunately, these problems never go away, they just get worse. 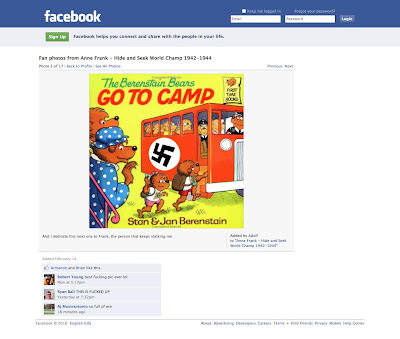 There is a cancer of antisemitic and jihadist content online and its growing more and more every single day. 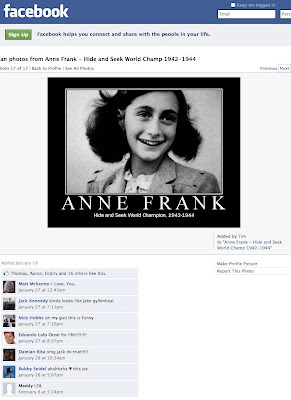 by name of "Adolf Heinrich Goebbels" - be sure to read the comments. 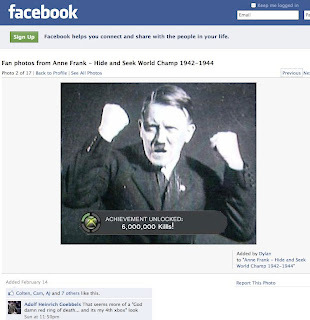 Picture of Hitler, happy about 6 million kills "achievement"
Thanks again, Facebook! We very much appreciate you banning the founder of our organization for no good reason whatsoever, and continuing to allow this stuff. Really! You are all such mensches! 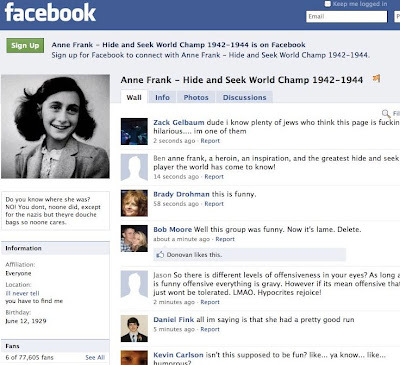 Facebook: "ALL BIG NOSED JEWS DIE I HATE YOU ALL!!! !GAS SHOWERS FOR ALL JEWS!!!! 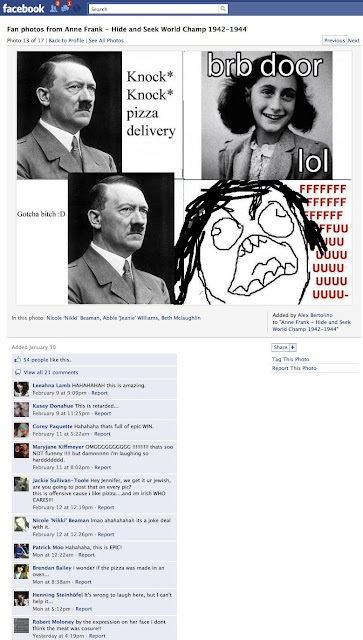 !HITLER YOU ARE GOD!! !DEATH TO ALL JEWS BURN BURN BURN"